Rooms and Apartments in Modena, Italy. Each room of our residence B&B in Modena has unique colors and atmosphere: to decorate and name them we took inspiration from the most famous paintings of musical instruments. Our mini apartments services include: private bathroom, kitchenette, heating, air conditioning, weekly linen change, weekly cleaning of the accommodation. Common areas available: living area, garden, wide parking, free wi-fi. 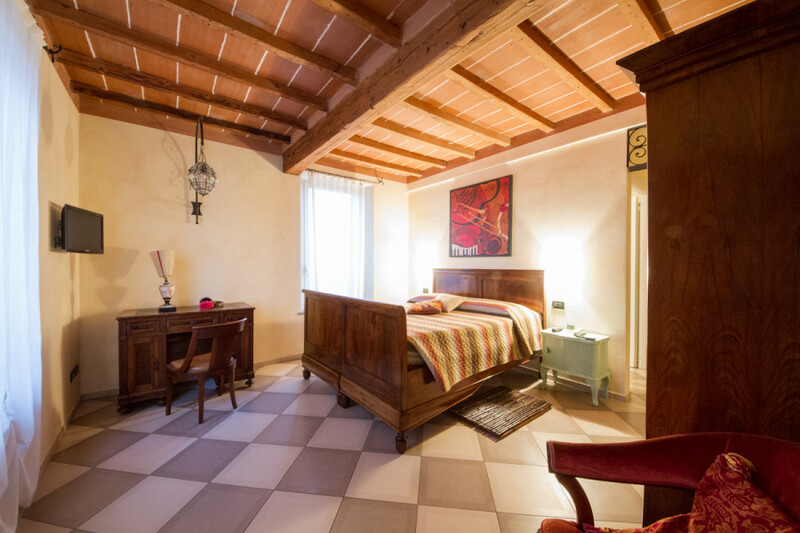 Mini-apartment with double bedroom and a loft with two single beds, kitchenette and bathroom with shower. Good choice for medium and long stays, where the independence is an advantage. Double bedroom where traditional furnishings and modern design of the interiors create a simple and refined atmosphere. Double room delicate and romantic, where every detail of the furnishings participates to the creation of the atmosphere: from the bed frame to the old typewriter. 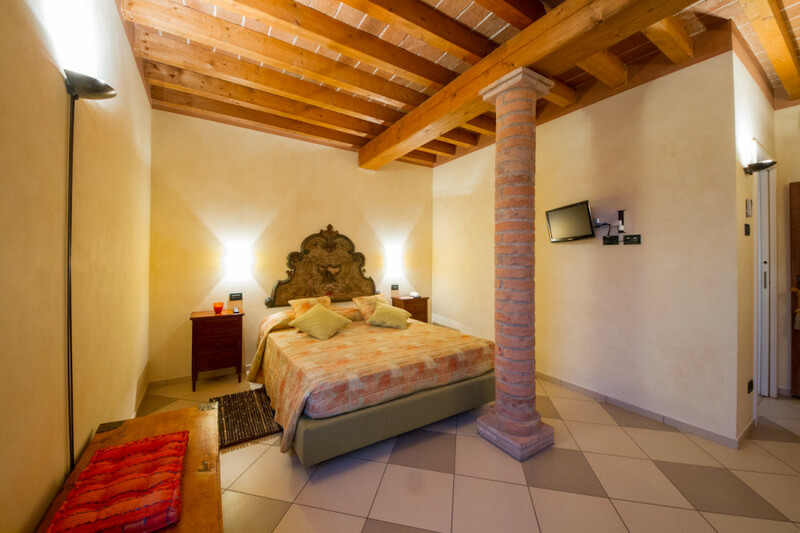 Double room with romantic personality distinguished by the warmth of the traditional materials: wood, ceramic, and the facing brickwork pillar that characterizes the interiors. 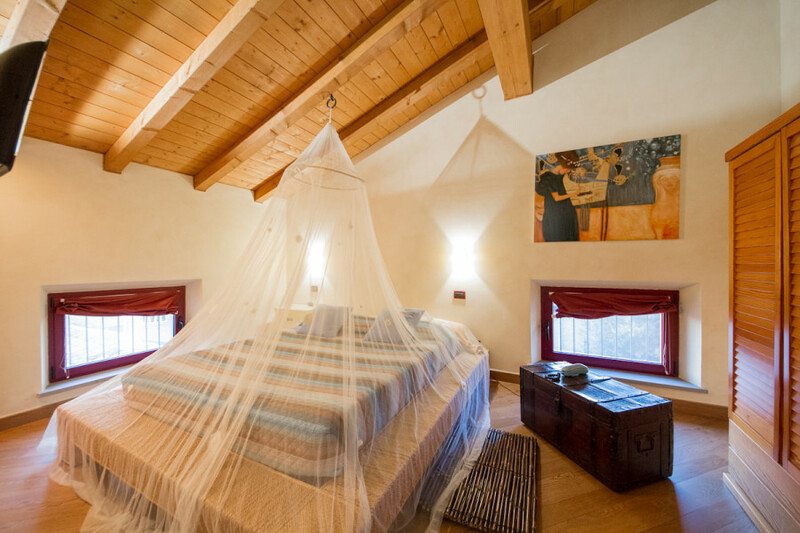 Bright and elegant, this room dedicated to the musical instrument par excellence is perfect for a relaxed and romantic stay, surrounded by the warm colors of the furnishings. 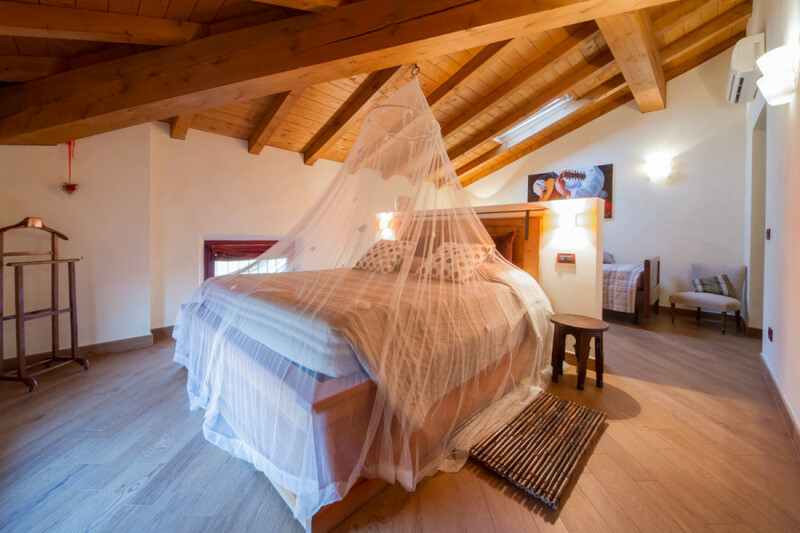 Double bedroom with an additional single bed: the ceiling beams, bright skylights and the encounter between tradition and contemporary elements create a balanced atmosphere between rustic flavors and romance. 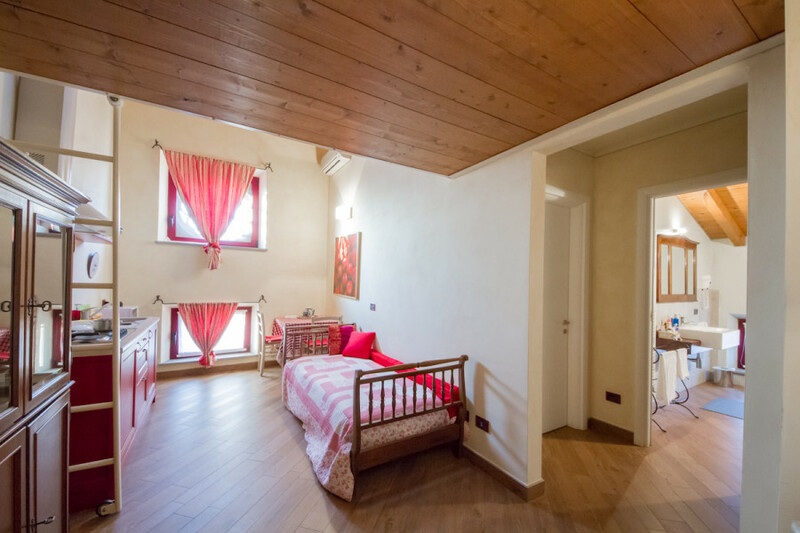 Large room with one double bed and one single bed: the traditional atmosphere is enlivened by the red color of more contemporary furnishings.